The Troller T4 will launch later this month! Famous with their prowess presents the toughest new line-up that undaunted crush off-road terrain, it looks like the Jeep must be prepared to entertain the presence of a new opponent. 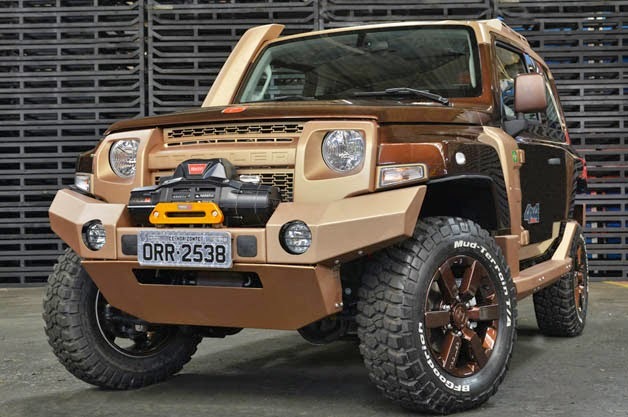 It was a Ford Troller T4, the latest of Ford's off-roader champion generation which scheduled debut in Sao Paulo, Brazil later this month, as quoted from Worldcarfans on October 27, 2014. 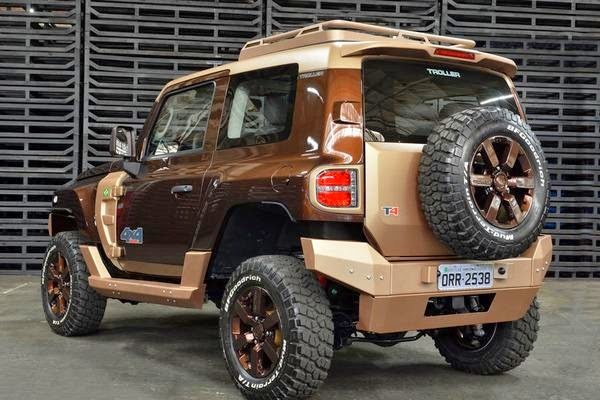 An off-roader concept that has the feel like the Jeep Wrangler is capable of carrying the manly appearance coupled with its rival. On the fascia side looks 'macho' thanks to the new modified fat bumpers plus new equipment such as snorkels, winch and steel storage box into the main essence of manly charm amplifier. 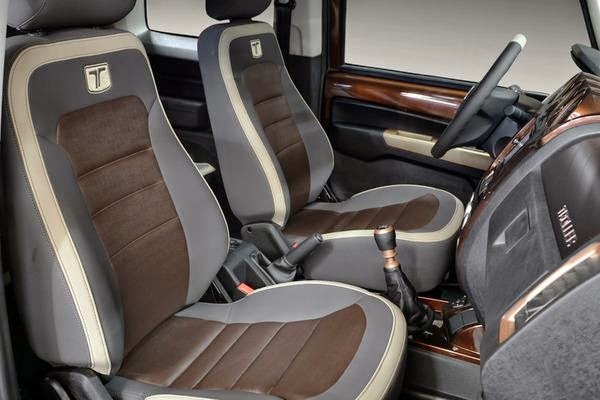 In order to matching its perform, the combination of two-tone beige and brown are used to wrap the outer skin of Troller T4 Concept is also used as the main theme of the interior wrapping. 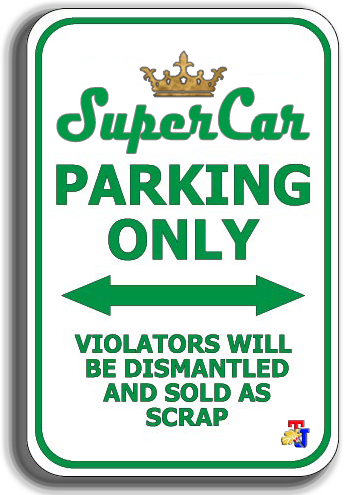 Do not forget the advanced features such as satellite navigation system and automatic climate system is also included in a series of advanced features that pinned on it. Masculinity of the latest Ford line-up is evidenced also by the steady performance. Armed with a 5-cylinder diesel engine with a capacity of 3.2 liter which can generate power of 197 hp to be distributed on a 6-speed manual transmission, this stout-bodied mounts will present a stylish adventure experience.